Crossrail’s mission is to deliver a world-class railway that fast-tracks the progress of London. It’s an ambitious mission, the success of which is reliant on ensuring we have world-class people to deliver it. The People Strategy produced in 2012 sets out Crossrail’s overarching approach to the people challenges and issues throughout the lifetime of the programme. The Strategy is about getting the right people in the right place at the right time and ensuring those people understand their contribution to delivering Crossrail and feel inspired and motivated to play their part. A learning legacy paper on the People Strategy discusses Crossrail’s overarching approach to the people challenges and issues throughout the lifetime of the programme. Crossrail is a diverse organisation that brings people together from many different backgrounds and employers. 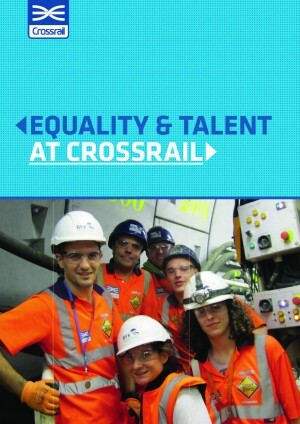 Crossrail’s Equality Strategy outlines Crossrail’s aim to create an organisational culture where everyone feels valued and included, and where individuals are empowered to achieve their full potential and make the biggest possible contribution to the success of the programme. 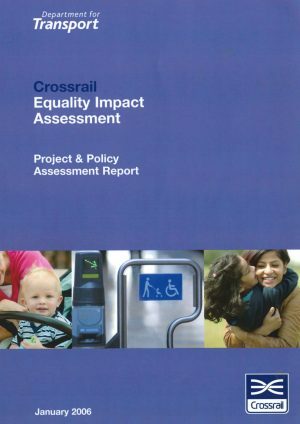 The Equality and Diversity learning legacy paper captures lessons learned from establishing and implementing the Crossrail Equality and Diversity Strategy to promote diversity and equality across the project.